Park ranger doing his impersonation of a cow hunter from 1876. 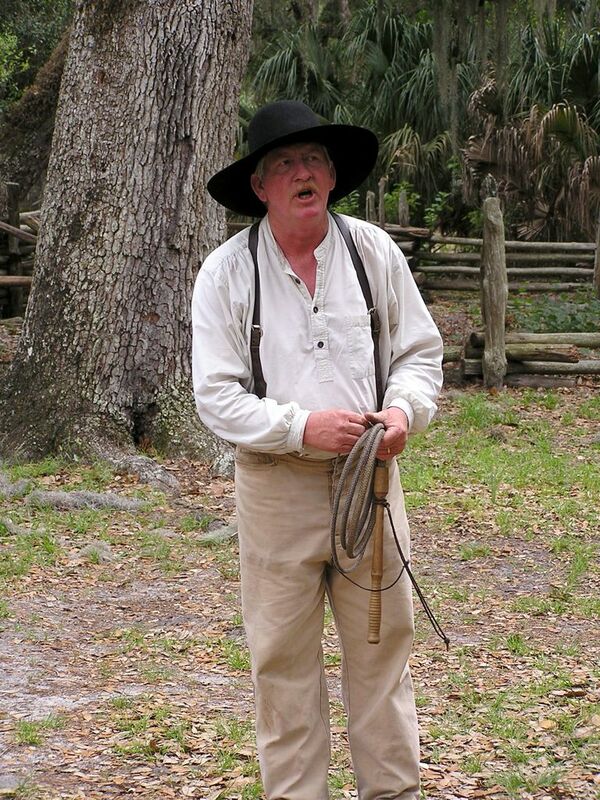 A visitor made the mistake of calling him a "cowboy." "Cowboys are in Texas. Here the men are cow hunters; the boys they ship to Texas."